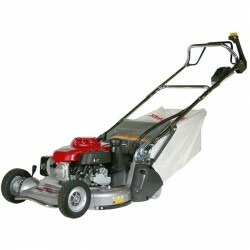 > Garden Machinery>Ride On Lawn Mowers>Viking MT 6127 ZL Ride On Lawn Mower 49"
The grass feed to the ejection chute is optimised by the synchronised rotation of the blades, which are offset by 90. The arrangement and positioning of the pedals is the same as a car: drive pedal on the right, brake pedal on the left. developed by VIKING, is straightforward and easy to use, perfect for working quickly. Thanks to the simple reversal mechanism, the driving direction can be selected using the drive direction lever. Actuation of the hydrostatic gearbox is via the drive pedal and enables precise selection of the driving speed. The capacity of the grass catcher box is an impressive 250 litres on the T5 Series and 350 litres on the T6 Series. Emptying is performed without back strain from the seat by conveniently pressing a lever. Removal and installation of the grass catcher box have also been made extremely easy for users: a brilliant solution for superior comfort!